"Right now we are working on replicating control mode android SAR-400. At this point it is important to maximize the identity movements of the robot and the operator. And only when the operator starts to feel in the frame of the robot like in your own body, you can move on to the development of other control modes — autonomous, supervisory ", — Says Oleg Saprykin, chief of manned space programs of the center system design FSUE TsNIIMash. The Federal State Unitary Enterprise "Central Research Institute of Machine Building" (FSUE TsNIIMash) — the leading institute of the Federal Space Agency. Located in the town of Korolev, Moscow region. 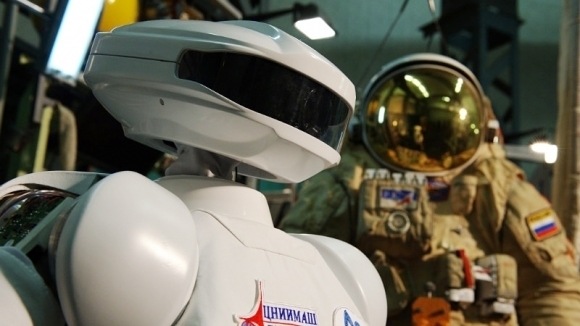 NGO "humanoid Technology» (Moscow) — Russian developer and manufacturer of anthropomorphic robots.